Jen is EKids Director (ages birth- grade six) for Elements City Church. 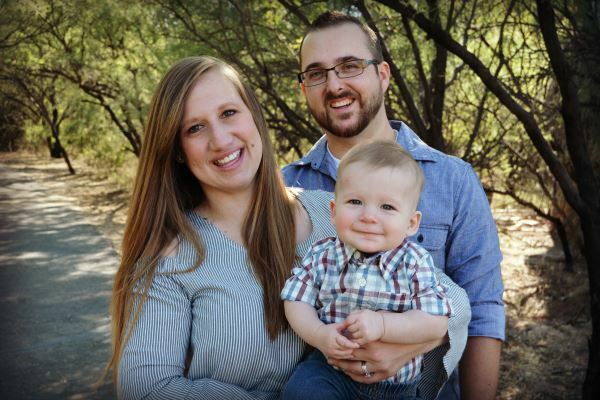 Jen was raised in Tucson and attended the University of Arizona where she received her bachelor’s degree in Family Studies and Human Development. She worked as a substitute teacher before returning to school to earn her special education teaching certification. She is currently a middle school Special Education Teacher in the Sunnyside School District. She and her husband Matt have been married since May 2015 and have a son, Bryson, who was born in the spring of 2017. Jen has served at Elements on many different teams and has seen Elements grow, change and move since the beginning! She enjoys working with the incredible volunteers to teach our kids about Jesus and how to have a life giving, life changing relationship with him!